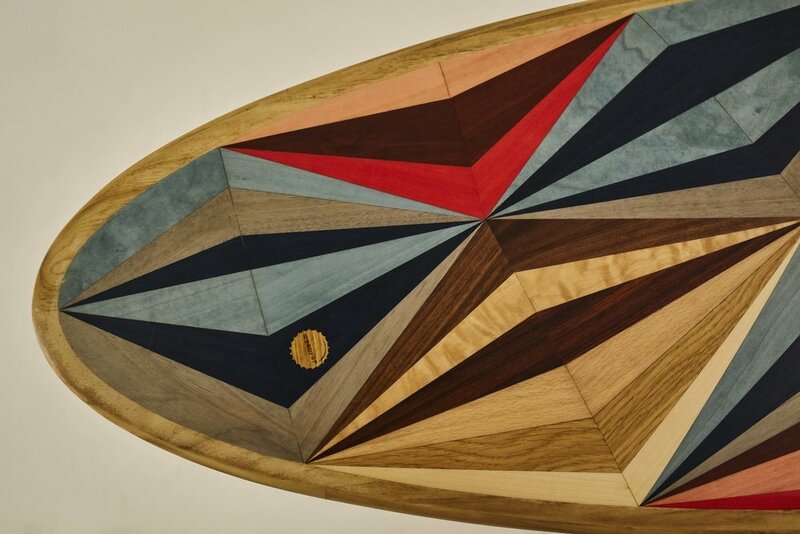 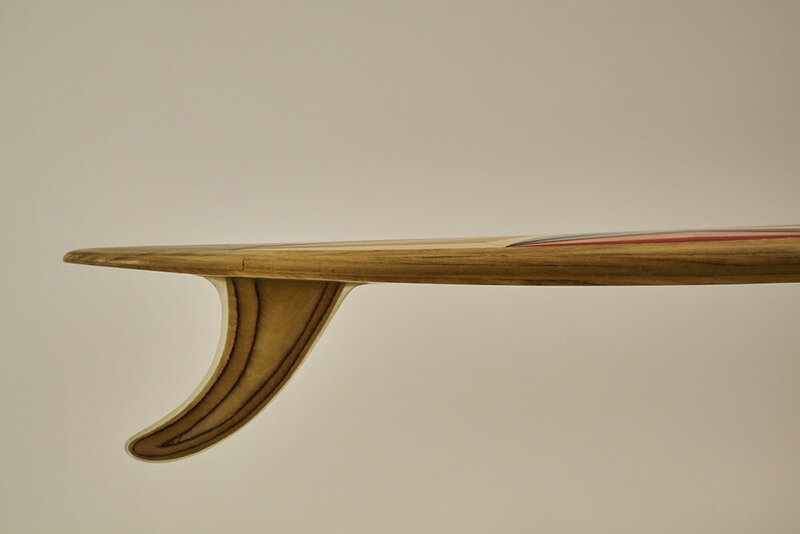 This surfboard is made out of Paulownia sourced from sustainably managed and certified (FSC / PEFC) forests. 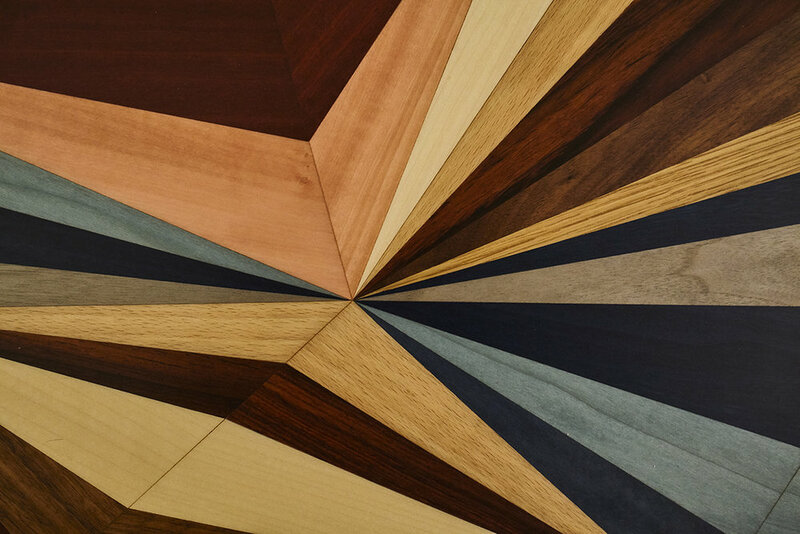 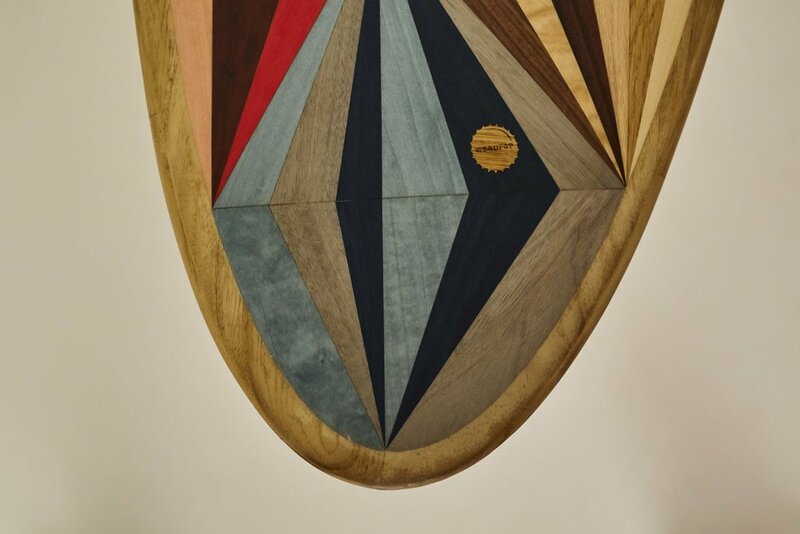 The deck features marquetry incorporating a combination of natural (Oak, American Walnut, Sycamore, Beech) and dyed veneers. 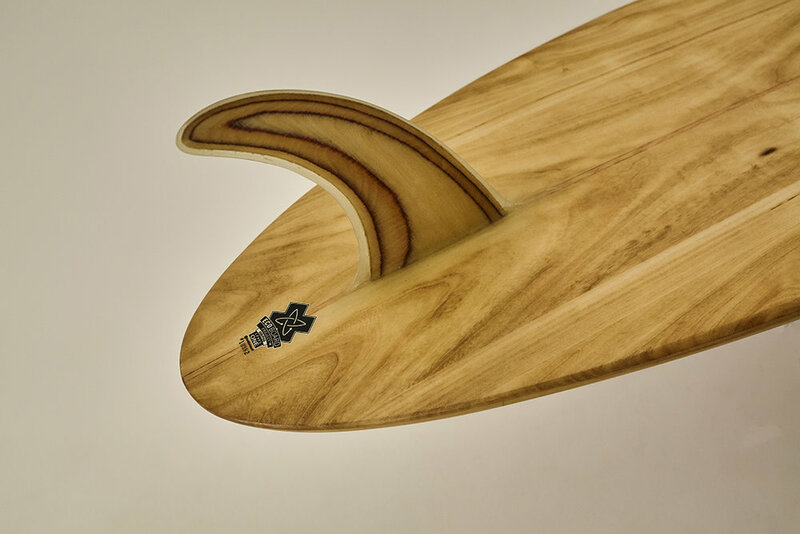 The board was shaped in Cornwall, the UK’s surfing mecca, by Paul Reisberg of Arbo Surfboards. 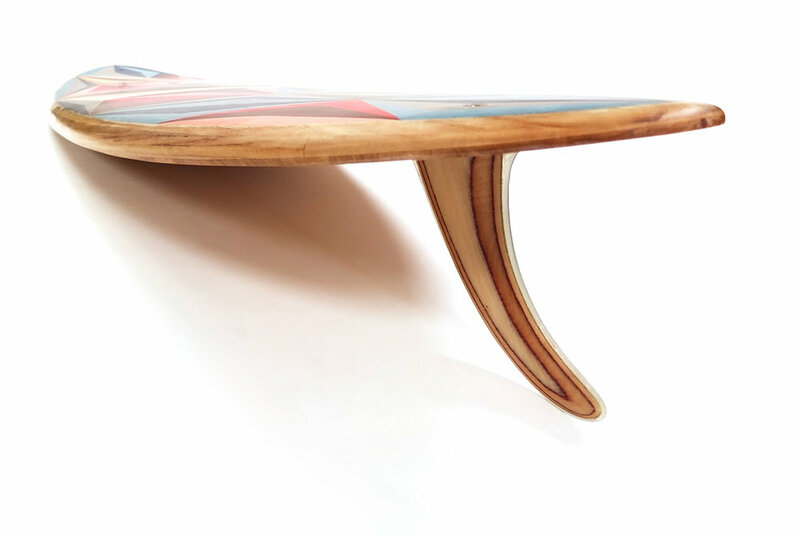 This surfboard is sold - but please get in touch if you'd like something similar.